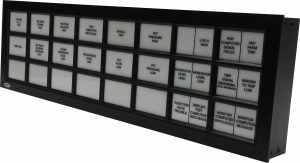 We are the leading Annunciator Panel Manufacturer with over 35 years of experience selling internationally to over 40 countries. 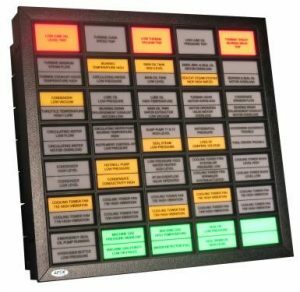 Our company designs and manufacture custom Alarm Annunciators for a wide variety of uses and industries. We are often to go to supplier for new or replacement projects of older panels due to our ability to minimize the required modifications on existing enclosures and panels. AIS750 Series: Integrated, Serial communication, fully field configurable (Manually or by software), full function, modular, multi-point, flexible and reliable Alarm Annunciator, designed to fulfill the requirements of all industries. AI7525 Series: Integrated, full function, modular, multi-point, flexible and reliable Alarm Annunciator, designed to fulfill the requirements of all industries. AIWR Series: Cost effective solution, designed for the use in space restricted areas with limited alarm points. 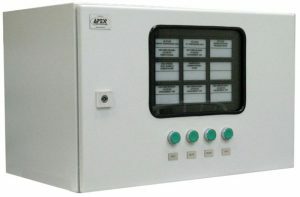 Fully self-contained, panel mount with integral acknowledge, reset, test, and mute push-buttons. LW Series: Cost effective, reliable, integrated and maintenance-free. AR7525 Series: Split architecture, Modular multi-point, full function, flexible and reliable Annunciator designed to fulfill all the requirements of industrial plants. ARWS Series: Split architecture, Full function, flexible and reliable Annunciator designed for applications with limited alarm points.